One of my favorite animation tools, xtranormal, is now defunct (but watch for a renewed animation environment at nawmal, xtranormal‘s purchasing group). In fact, I’m finding that many favorites are disappearing as the excitement of online tools wanes, and companies look toward mobile app development to invest their time and resources. However, there are still online learning sites that provide easy tools for youngsters to create storytelling graphics while learning rudimentary media literacy skills. I was very pleased to see Joyce Donahue’s post about one animation tool called Wimeo. Since I like to built a repertoire of different tools to answer different needs, I continued to scour the web for easy animation tools for youngsters… and oldsters like myself. ABCya is an online collection of educational games for the younger set. Two in particular caught my eye for creating. Getting back to xtranormal (click here for my “sniff!“, my face drawn in ABCya’s Color, Draw & Paint, and imported as a background for a Make an Animation clip) I’ve found that the animation maker in ABCya has its own charm. It is really for the younger set, but I must admit I was engaged for quite some time playing with its features. It is really simple… and limited. 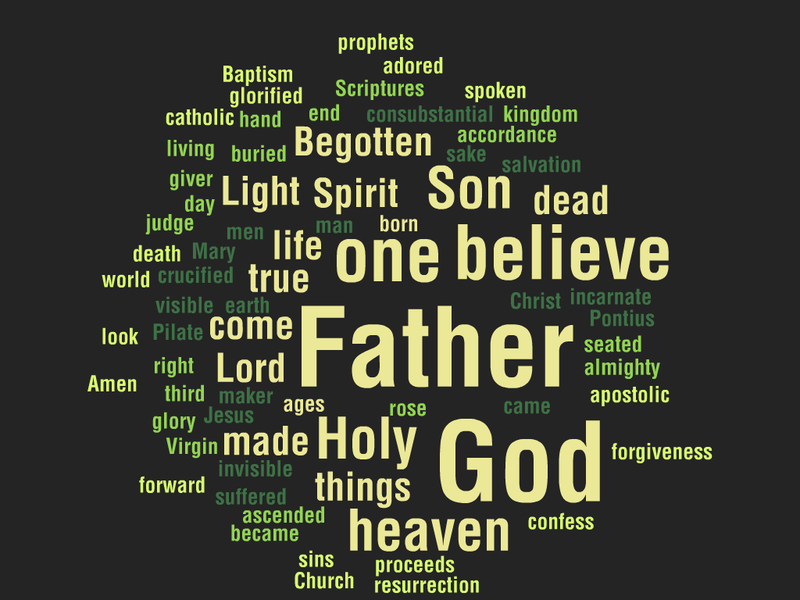 But, between WORD CLOUDS FOR KIDS (or ABCya’s Color, Draw & Paint) and MAKE AN ANIMATION, your students can create creative animated gifs, the file type that can be played in any browser, and thus can readily be embedded in your parish or school website. If you need to turn an ABCya animation into a movie for inclusion in Animoto video creation, Moviemaker (Windows), iMovie (Mac), or to upload it to YouTube as I did above… you can convert the gif to a video file using the video converter tool at Online-Convert.com. I took the word cloud above and made a gif that you can see by clicking here. Here is a video tutorial of using Make an Animation to create my non-award winning Sniff gif. If you like these suggestions, click the “Like” button. Once you engage your students with these tools, come back and tell us about it. We’d love to hear from you. What is Animoto? A wonderful Web 2.0 tool that assists you in producing a video from selected photos, video clips and music. Educators can open a free Animoto Plus account which allows unlimited use of the website. If you believe that you can now create a stunning video for your class, program announcement, or any other project – click the “Like” button. Once you create a video or engage your students in creating a video, come back and tell us about it. We’d love to hear from you.